So I was at Shooters II a few weeks ago (withhold your laughter, judgment, and/or concerns for my safety) and something happened. Something that caught me off guard. In addition to creepy old men, an elevated cage, and probably enough bacteria to be considered a biological weapon, Shooters II has a large mechanical bull adjacent to the dance floor. For $5, you can be thrust back and forth in front of the crowd until you fall off. As you may have guessed, the bull is often used while intoxicated. Seeing our disappointment, he quickly reminded us that we could still go one at a time. C’mon, Shooters-Man. It obviously wasn’t about the bull ride. And then this happened. If that’s not a wake-up call, a cold reminder that things are still really not okay, then I’m not sure what is. Living in the Duke bubble had lulled me into a sense of complacency. Duke’s campus is, to a large extent, accepting of sexual minorities. In an environment where being gay is, in my experience, a nonissue, I had forgotten that homosexuality is still not exactly kosher beyond the University walls. *What the man said about the weight limits may be true, and I may be reading too much into this. But trust me; I’ve seen some big girls** on that bull. **Not that there's anything wrong with that, for the record. I understand the frustration. I do. 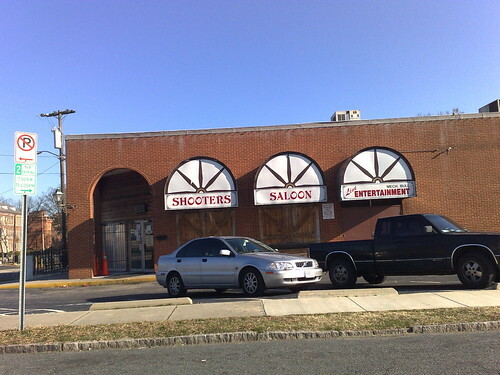 Not to play devil's advocate but how many members of our community are willing to go to shooters? Matt, you implied it in your post that it is rather looked down upon and most people within our community are opposed to going. So for the few of us that DO go every once in a while, we shouldn't be expecting much acceptance outside of the hetero-norm that shooters' atmosphere is. Maybe if more members of our community are willing to go there and establish some visibility at shooters situations like the one you faced would be avoided in the future and having 2 guys on the bull or in the cage would be perfectly accepted. I'm really not okay with the idea that if a place isn't gay-friendly, it's the fault of gay people for not going there. That's not really how it works-- first, you quit being homophobic jerks, and then we grace you with our presence. ^^^ Love this comment so much, Lawrence. As for Shooters, I would actually love to agree with Lawrence, but if it's really a thing, maybe you can get people in the community to start going to shooters (althogh I'd be worried about safety and sanitation etc) and maybe make it known that you DO exist and that you have every right to be there instead of restricted to the LGBT clubs. Otherwise, Shooters is dirty, the cabs cost too much and people there are generally unattractive and vomiting.